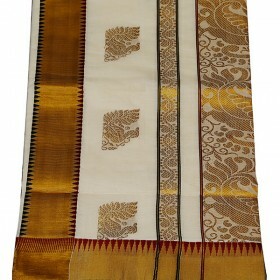 Our most popular and fast moving item of Kerala temple design kasavu saree with elegant pallu design.. 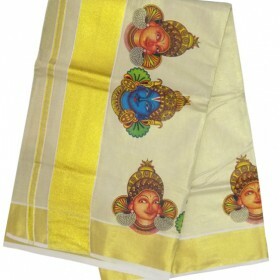 Traditional kerala kasavu saree specially designed with printed mural design of Krishna and Radha wi.. 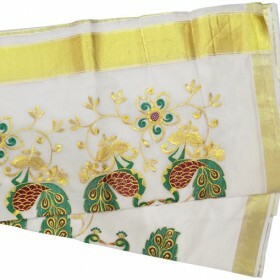 Pure cotton and handloom Kerala kasavu saree with peacock design on muthani. 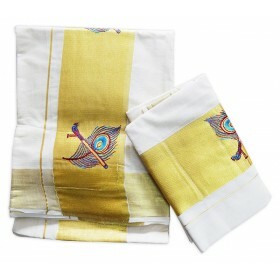 The peacock design is o..
Kerala kasavu churidar with off white color having golden patch work in it. 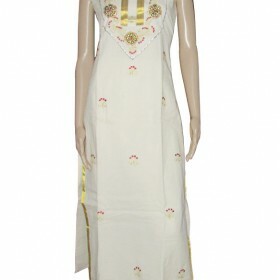 This is anarkali model flair top having golden kasavu work on its bottom of the top. 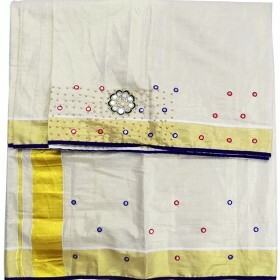 Along with this crush bottom and dupatta with kunchalam having golden border which gives a different look. 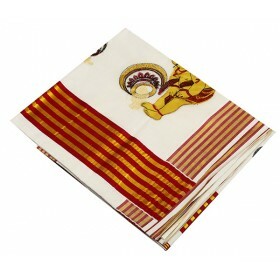 You as use this for any traditional function, wedding to make you special. 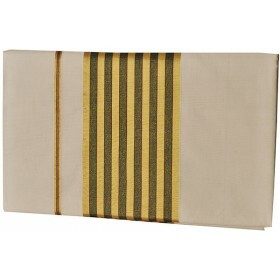 Sleeve provide along with this.